FLUIDMOTION is a small, client-focused clinic offering hands-on assessments of posture, flexibility, strength, movement ability, and body balance. Our treatments are customized to address your injuries and functional goals. 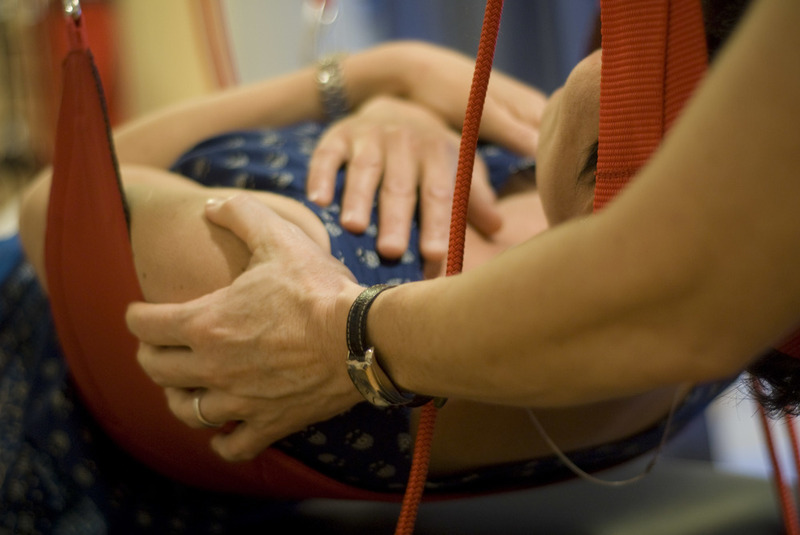 We understand the importance of consistent care, and therefore provide you with a dedicated physiotherapist to work with you from the initial assessment through to the end of your treatment sessions. MOIRA DEVEREAUX, MScPT, completed her Masters degree in physiotherapy at the University of Toronto. She has completed her Level 2 certification in Manual Therapy through the Orthopaedic Division of the Canadian Physiotherapy Association (CPA), and is currently a member of both the Orthopaedic and Private Practice Divisions of the CPA. Moira believes in evidence-based practice, leveraging both her clinical experience and healthcare-related research to provide the best care possible. In collaboration with Dr. ElMaraghy, an upper extremity orthopaedic specialist in Toronto, Moira has published several articles in peer-reviewed orthopedic journals on topics related to upper extremity pathology and treatment. To read further about Moira's research, please go to our Related Links page.